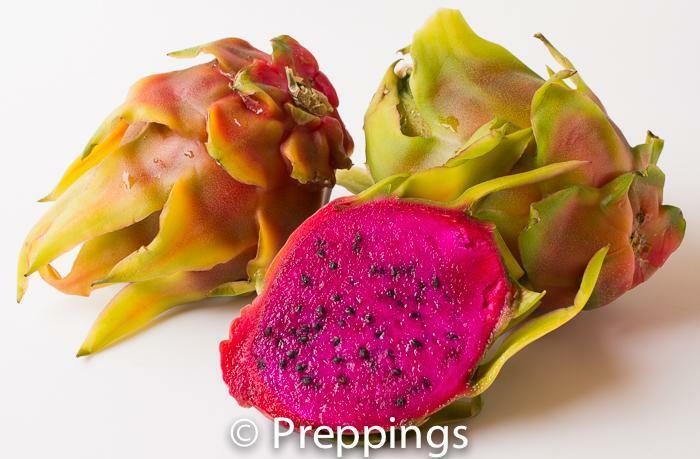 Dragon Fruit is a tropical fruit with a petal like exterior and a red-pink interior. They have a fruity-acidic-slightly sweet flavor similar to a Kiwi. Use them for fruit dishes, salad, and salsa.